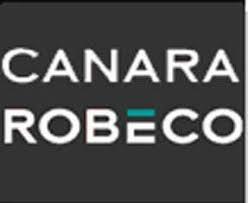 Canara Robeco Mutual Fund has announced 10 June 2009 as the record date for declaration of dividend under dividend option of Canara Robeco Interval scheme - Series -2 Quarterly Plan 2. The fund house has decided to distribute 100% of distributable surplus as dividend on the record date. The NAV of the retail and institutional plan was at Rs 10.1085 per unit & Rs 10.1315 per unit, respectively as on 03 June 2009. Investment objective of the scheme is to generate returns and growth of capital by investing in central and state government securities and other fixed income/debt securities normally maturing within the maturity of interval plan to insulate the portfolio from interest rate volatility.